Create an adorable hair accessory in no time, with this easy tutorial. 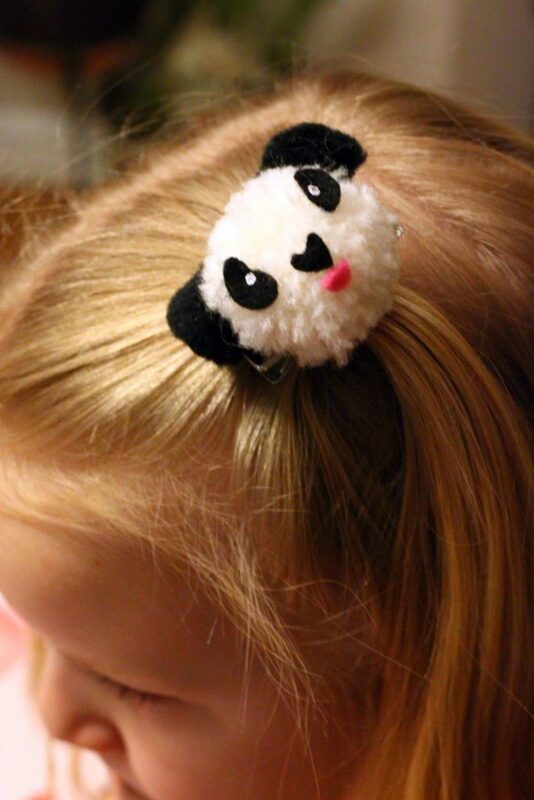 This entry was posted in Accessories, Family Crafts, Kid's Crafts and tagged Felt, hair clip, Kid's Crafts, pandas, pom pom on February 19, 2019 by Michelle. 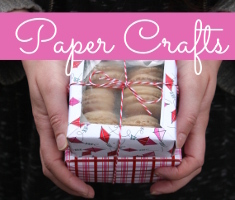 Have you ever tried using a pom-pom maker? 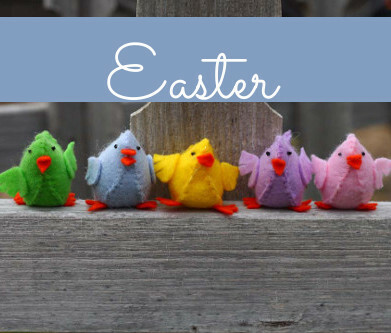 A pom-pom maker is a fast, and fun way to make pom-poms out of your favorite yarn. 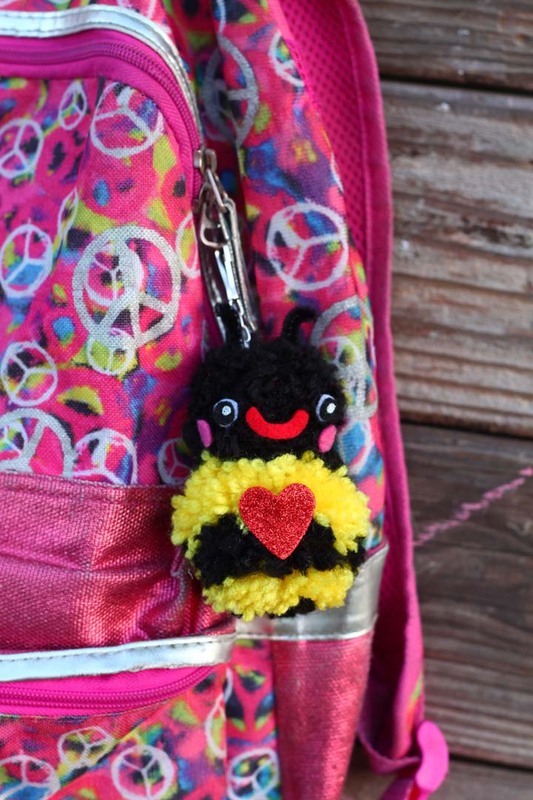 Here’s a cute project to make a bee with a striped pom-pom making technique. 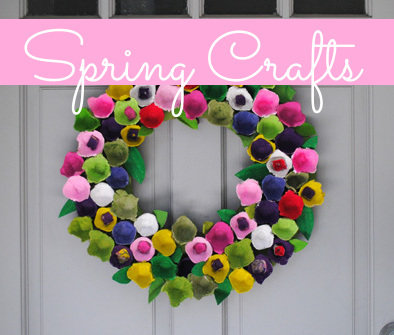 This entry was posted in Family Crafts, Kid's Crafts and tagged bee, heart, Kid's Crafts, pom pom, Yarn on March 29, 2018 by Michelle. This pumpkin craft is a great activity for fall and Halloween. When they’re finished they look lovely hanging around the home. 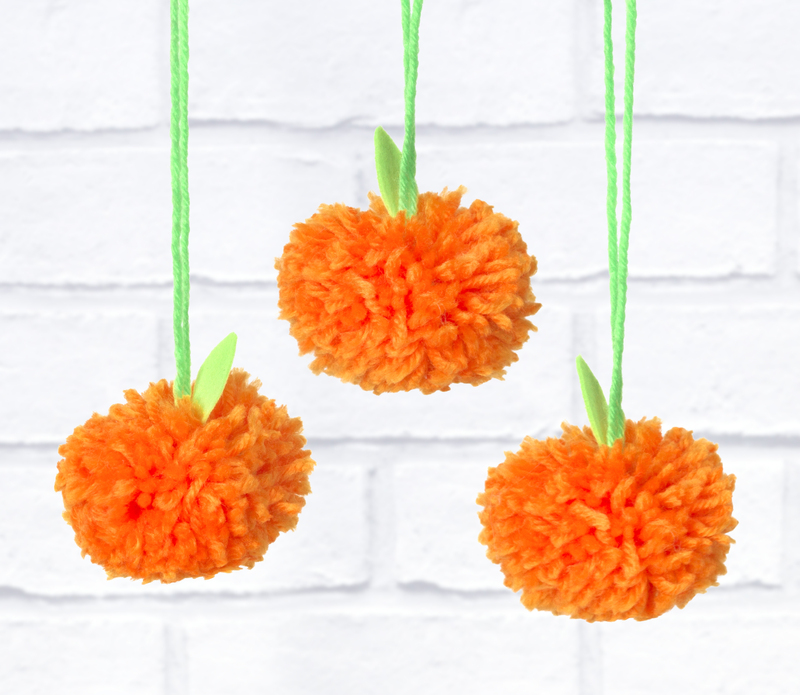 This entry was posted in Crafts, Family Crafts and tagged Kid's Crafts, pom pom, Pumpkins, Yarn on October 30, 2017 by Rachel.